Today’s street exploration got me photographing a landmark of the 12th arrondissement for the first time for this blog. 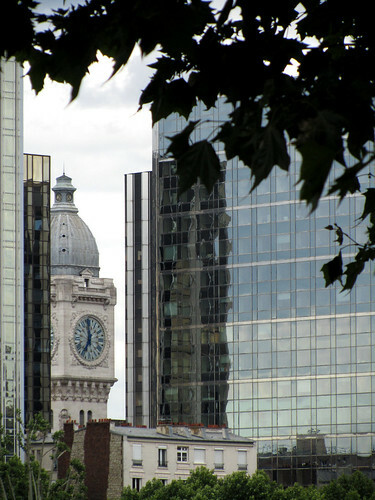 Peeking between buildings when viewed from Pont d’Austerlitz, the clock tower of Gare de Lyon is quite swanky, with its feature reminiscent of the Big Ben in London but with prettier clock face. Come to think of it, I have not only not used the train station before, I have not even walk around the area surrounding it. My faithful pocket map of Paris told me that Viaduct des Arts nearby runs parallel to the railway station, and it also serves as the site of Promenade Plantée which I’ve heard a lot about. I must put it down for a weekend stroll sometimes.